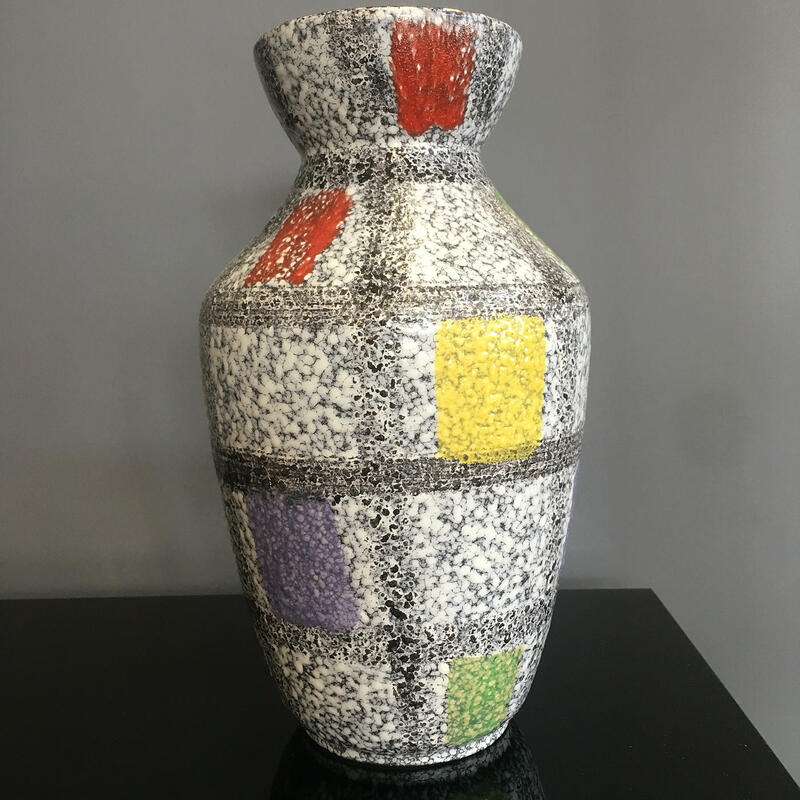 A lovely colour and shape, this West German pottery vase is by Bay Keramik with pumice lava ground, by Bodo Mans and dating from the 1950s. A great piece for your mid century collection. 26cm High, 16cm Widest Point.